Documents obtained by Bloomberg reveal military engineers proposed a 1.5 mile long wall, designed to protect about three dozen buildings in D.C.'s Navy Yard. WASHINGTON — A 14-foot wall along the Anacostia River in D.C.’s Navy Yard could potentially become a staple in the fast-growing neighborhood, Bloomberg reports. The Navy is considering whether to build a wall to protect against rising sea levels — a growing threat in Navy Yard and the D.C. region, despite the Trump administration’s dismissals of climate change. Documents obtained by Bloomberg reveal military engineers proposed a 1.5 mile long wall, designed to protect about three dozen buildings. It could cost as much as $20 million, according to the news source. While the wall would protect the immediate area, it could raise the risk of flooding for surrounding areas. Sea levels are predicted to rise between 4 and 6.4 feet in the D.C. area by the end of the century, the Union of Concerned Scientists said in 2016. 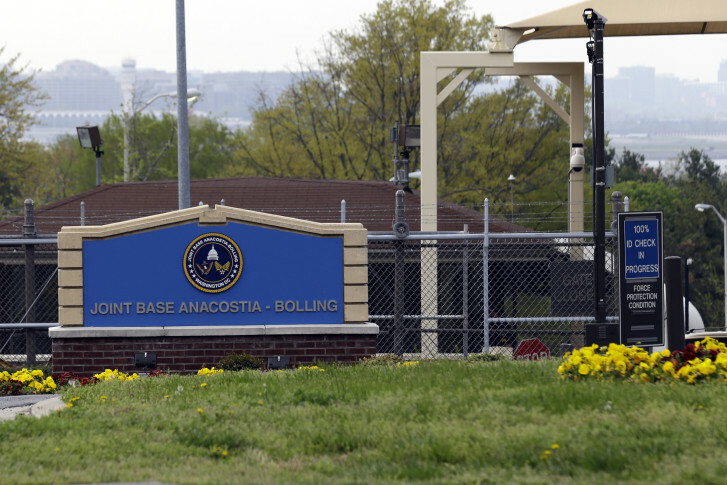 If the Navy doesn’t take any preventive measures, Joint Base Anacostia-Bolling could lose up to 50 percent of its land. In any given year, there is a 10 percent chance of a “10-year storm,” which would cause 7-feet of flooding in Navy Yard, Bloomberg found in the Naval Facilities Engineering Command document. A “100-year storm” would bring 10.5 feet of flooding and a “500-year storm” would bring 14 feet. If preventive measures are not taken, the Navy Yard will see more frequent and damaging tidal floods, an increase in the severity of storm-driven floods and a loss of land that is currently being used. Navy Yard is a fast-growing area, having made a Forbes list of coolest neighborhoods in the world in 2018. The D.C. Department of Energy and Environment provides a flood risk map showing the vulnerable position of the Naval facilities in D.C.